D&G Amusement is committed to providing both players and location owners with a premium gaming experience. By combining quality machines with thorough and attentive service, D&G is able to offer a truly unique entertainment package to all of its customers. Are you looking for a place to play pinball? Want to participate in local tournaments? Or would you like to find out more about working with D&G Amusement? If so, you have come to the right place. 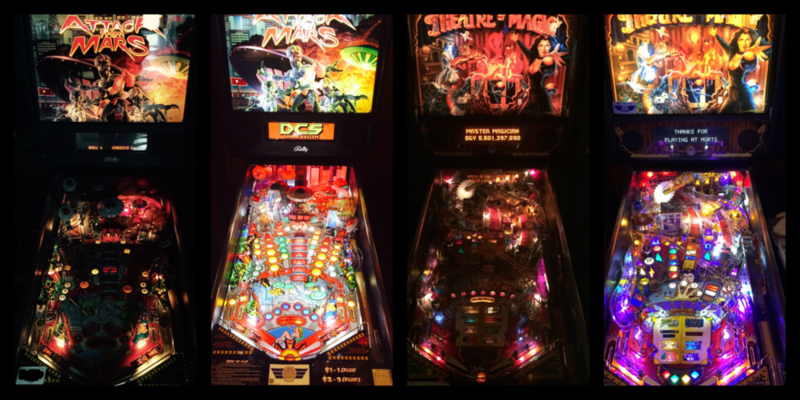 Does your pinball machine need repair or maintenance? Would you like to have some modifications made to your game? D&G Amusement offers services ranging from basic cleaning to major electrical/mechanical repair. Please contact us *HERE* for more info. Lower heat and power consumption which greatly reduces stress on aging electrical components. Increased life span - LED's often last up to 20,000 hours, making it likely you'll never replace another bulb. Increased brightness and improved light distribution, allowing you to play your machine in the darkest of rooms. Total customization is possible through the use of colored bulbs in both inserts and general illumination.